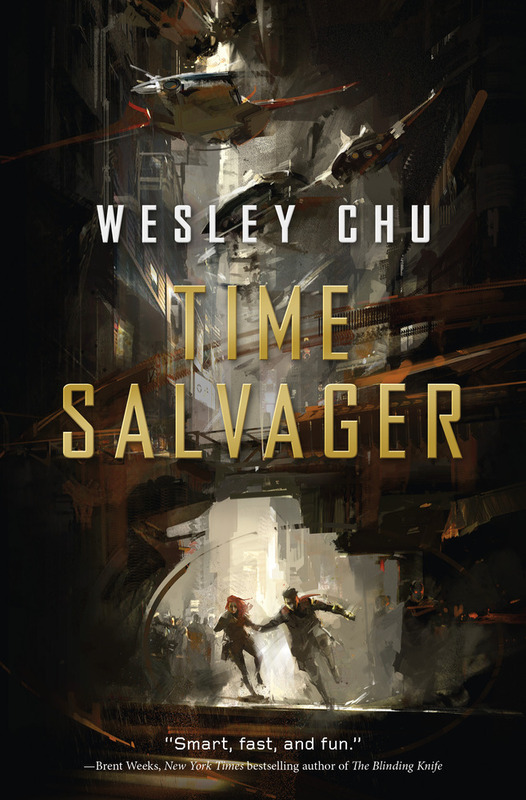 Wesley Chu’s Time Salvager is a rapid-fire thriller set in a dystopic future defined by rust, decay, and absolute corporate hegemony. Scientists predict mankind’s demise by the year 3000. Our tether to survival is a thin one, and it’s wholly dependent upon time travel. Having decimated not just Earth’s resources but those of the entire solar system, we now travel back in time to recover resources from the past. Doing so is a dangerous and delicate job requiring a unique breed of individual – the chronman. James Griffin-Mars is a chronman – not the young and wide-eyed sort; more of the grizzled and self-destructive variety. Likely just a few jobs away from “poking a giant in the eye,” chronman-speak for steering his ship directly toward one of the gas giant planets and letting go of the wheel. He’s seen a few too many people die during his excursions into the past, and the ghosts of these souls have lately been penetrating the alcoholic haze James puts up as a barrier. And these ghosts? They’re really beginning to bother him. James is on an assignment to the 21st century, a plum job for a megacorporation that could earn him out of his service, when he violates the highest Time Law by bringing Elise Kim, a doomed female scientist, back to the future with him. It’s a capital offense, and ChronoCom, James’ former employer, will stop at nothing to find James and Elise, fix “the anomaly,” and heal the chronostream. Time Salvager is a great read on many levels. Chu’s world-building is superb, with faint glimpses of events – mostly wars and environmental abuse – that land humanity in the dead-end dystopia of the novel’s present. Enough to make it believable, but not so much as to overwhelm the novel’s excellent pacing. The same goes for the time-travel; Chu goes easy on the mind-bending time paradoxes, while still making a couple of playful historical allusions, one positing the origins of Shaolin Kung Fu’s more mystical elements. Finally, Time Salvager‘s characters are wonderfully believable. James Griffin-Mars is a spiteful anti-hero – burnt out and dangerous. He’s just not a very likable fellow, which gives him plenty of room for growth. His foil, Levin Javier-Oberon, is a resolute corporate man, single-mindedly loyal to Chronocom. Elise is an inquisitive and independent free-spirit who, while stranded a couple centuries into her future, is not having any of James’ small-minded guff. It’s an excellent back and forth between the couple that makes for something of a fun, understated romance. Which brings me to the environmental element and a hot (pun intended) new literary genre called Climate Fiction, or Cli-Fi, of which Time Salvager is an excellent example. In the late 21st century, Elise is an biological scientist whose team is on the brink of curing an environmental affliction when they are wiped out. In the 26th century, the affliction has become a calamity, and there’s more than a small amount of indignance over humanity having let this happen to the planet. 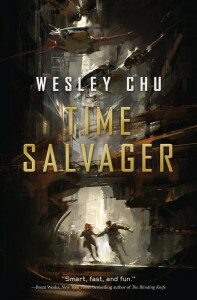 Time Salvager is a page-turner and clearly the start of a series, as Chu leaves much unanswered and plenty of room for more to come. All I lack is a chronman to reach into the future and bring back the next installment.